Amazon is opening a new facility in Fall River, Massachusetts, the latest in a series of projects in the state. 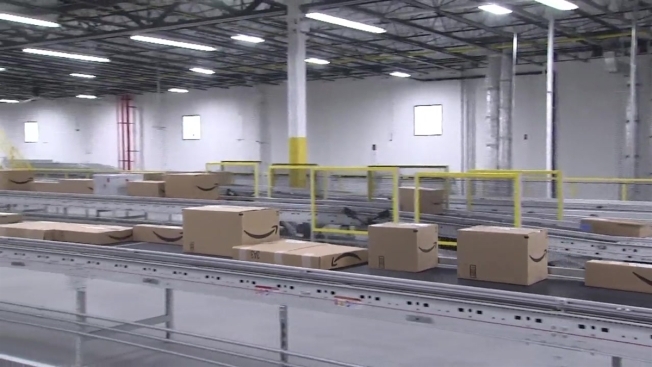 Amazon is giving a look inside its new facility in Fall River, Massachusetts, the latest in a series of projects in the state. Amazon has recently established other services in the state, including a "Prime Now" service that provides one-to-two-hour delivery for select items in Boston. Amazon also opened Amazon Books in Legacy Place in Dedham in February. The store has thousands of titles, according to spokesperson Deborah Bass. The Fall River warehouse spans 1 million square feet and employs more than 1,000 people, according to The Boston Globe. Many Amazon customers in Boston are excited about the new "Prime Now" service, which provides one-to-two-hour delivery for select items, but some area business owners don't share their enthusiasm.